Straight Edge (3 Meters) for Bitumen Testing - A straight edge approximately 3 metres in length may be used to determine lateral surface regularity of a road surface. 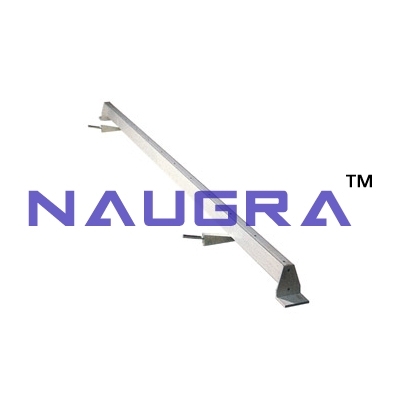 This lightweight apparatus is made up of mild steel or aluminum as per customers requirement and is equally supported at both ends producing a set height between the road surface & the beam. Any vertical irregularity is measured using incremented wedges..
We are leading manufacturers, suppliers & exporters of Straight Edge (3 Meters) For Testing Lab for Bitumen Testing Lab. Contact us to get high quality designed Straight Edge (3 Meters) For Testing Lab for Bitumen Testing Lab for schools, colleges, universities, research labs, laboratories and various industries. We accept bulk orders for government tenders in all countries around the globe.